What do you do when the bear won’t shoo? Well, if you’re an anonymous 11-year-old boy in Driggs, Idaho, and you’ve got an American black bear on your front porch, threatening your family, there’s only one thing you can do. Take care of the threat. The boy grabbed a rifle and, after the bear refused to budge, shot it at point blank range. It’s no fun to shoot a bear, but when it’s your life or the bear’s life, what choice do you have? Given how inquisitive bears get, it’s not surprising when this kind of thing happens. 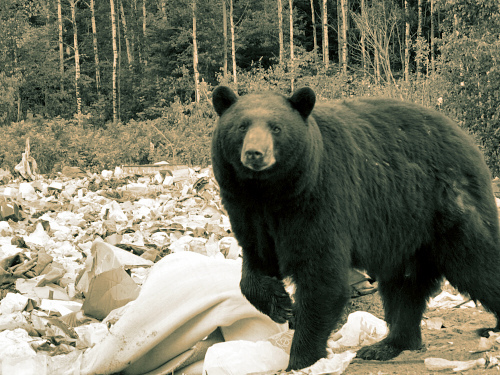 The area around Driggs has been the site of frequent bear sightings in the days leading up to the shootin, with another bear getting trapped and put down for home invasion in that area, and other bears have been spotted around the county transfer station. As the weather turns colder, bears often come down from the mountains in search of food, leading to an increase in human/bear scuffles, sometimes with deadly results. In this case, the bear ended up on the short end of the stick.